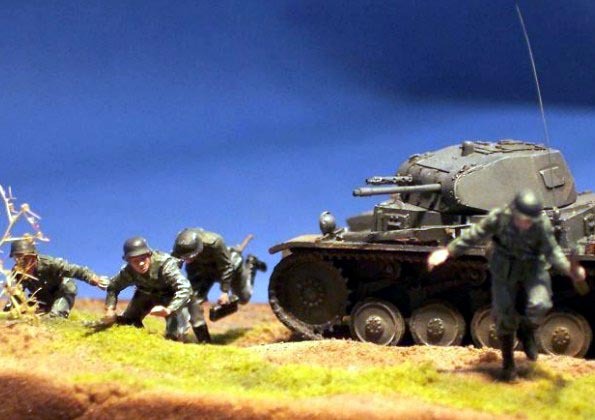 Panzer II is an ALBY model, German armoured Infantry soldiers (Panzergrenadiere) are Preiser. 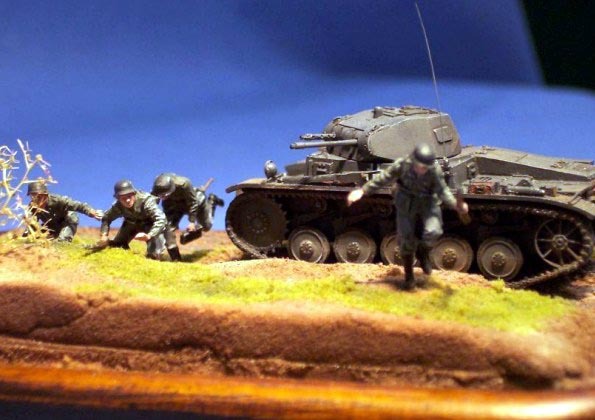 This little diorama depicts a scenery in the German attack on the Balkans in the early stage of World War II. The Tank gives fire support to the storming Infantrymen. Painting the tank was done using several painting techniques as for example filtering and so on. Colours used painting figures are Vallejo..